Catharina Scharff was born circa 1658. She married Clemensen Dunckelnberg, son of Adolff Dunckelnberg and (?) Lisgen, between 12 August 1680 and 1681. Catharina Scharff Age at Death: 33 years. Her married name was Dunckelnberg. She died between 28 November 1690 and 1691. Jacobus Scharff Burgher of Pilghausen, Germany. Benjamin A Schell was born in 1881. He was Farmer. He died in 1956. He was buried at Lewisville, Monroe, Ohio, USA. Charles Schmitt The new cemetery in Port Clinton is located at the end of ThirdStreet past the old cemetery. He was buried at Port Clinton, Ottawa, Ohio, USA. Clara Schneider was also known as Clara Link. She was born after 1910. She died in 1980. [S242] 1910 U.S. Census, http://www.ancestry.com, Pennsylvania; Allegheny; SD: 23; ED: 589; Ward: 22. Edward Schneider married Stella H. Blum, daughter of Jacob Blum and Lena Dora Linke, in 1905. Conrad Schwartz married Catharina Dunckelnberg, daughter of Adolff Dunckelnberg and (?) Lisgen, between 18 July 1677 and 1678. Margaret Ahiera Schwartz was born on 26 March 1908. She married Russell Reid, son of Andrew Reid and Agnes Clark, on 12 August 1945. Margaret Ahiera Schwartz Places of Residence: She lived on farms in Frostburg and Grange, Pa.She and Russell lived in Kramer, Pa.
Anne C. Schwein was born in 1909. She was also known as Anne C. Gerhart. She died in 1992. She was buried at Crawford, Ohio, USA. Eliza A. Scott married Michael Jasper Bobo, son of Jared Bobo and Lavinia Kanny, on 14 September 1859 at Vinton, Ohio, USA. 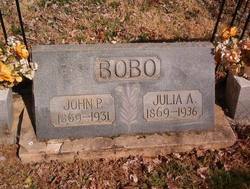 Her married name was Bobo. Eliza A. Scott died on 30 January 1905. Issac Scott was born in 1846 at Monroe, Ohio, USA.1 He married Hannah Jane Denbow, daughter of Bazzel Denbow and Ruth Tanner, in 1866 at Monroe, Ohio, USA. Martin and his wife Mary Ann Scott. Mary Ann Scott was born in 1847 at Monroe, Ohio, USA. 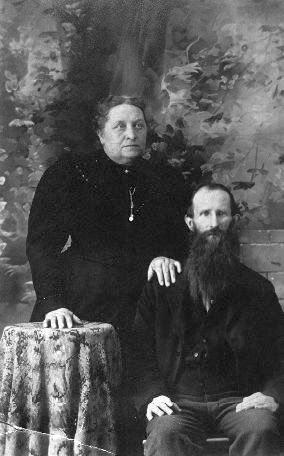 She married Martin Denbow, son of John Denbow and Martha A. Sharp, in 1863 at Monroe, Ohio, USA. Her married name was Denbow. Mary Ann Scott died in 1918 at Lewisville, Monroe, Ohio, USA. Mary L. Scott was born on 21 July 1869.2 She married Joseph Denbow, son of John Denbow Jr. and Sarah Paith, on 2 August 1888. Mary L. Scott BIRT: SOUR @C603@. [S65] Ruth Hogue, Bracken Ridge Cemetery. Abraham Scribner married Rachel Devor, daughter of John Devor and (?) Margaret, in 1814 at Darke, Ohio, USA. Starling Scruggs Scruggs was reported to be a Confederate War Veteran who had beenhanged by the Yankees, but survived. The rope burns were said to havebeen visible on his neck. Edwin W. Seager was born in 1892. He died in 1955. Francis Sebaugh was born in 1909. George W. Sebaugh was born in 1870. He married Josephine Denbow, daughter of David A. Denbow and Margaret L. Kelley, in 1890 at Ohio, USA. George W. Sebaugh died in 1962. Leona Sebaugh was born in 1905. Alonzo Seeback was born in 1878 at Monroe, Ohio, USA.1 He married Bessie Denbow, daughter of Thomas Denbow and Rosa A. Love, in 1913. Alonzo Seeback died in 1988 at Guernsey, Ohio, USA.